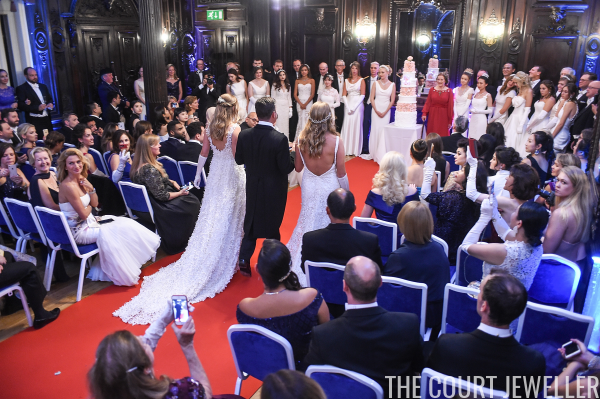 Earlier this month, a glittering British social institution marked a major milestone. 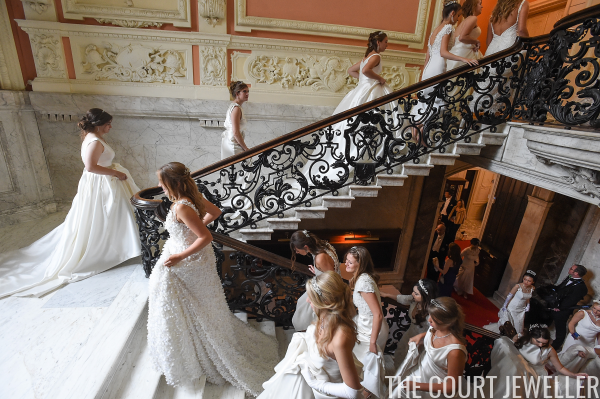 Queen Charlotte's Ball, once the supreme event of the social season, celebrated its 240th anniversary. 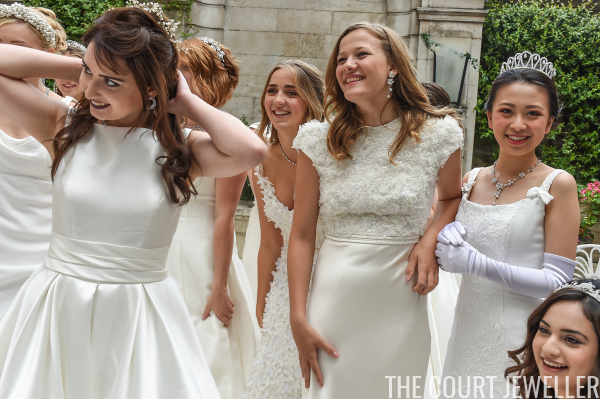 The concept of debutante balls is largely an archaic one these days, but Queen Charlotte's Ball continues on, tiaras and all. Queen Charlotte's Ball, named after the wife of King George III, was historically one of the debutante balls of the London Season. Above, the debs of 1930 (including Margaret Whigham, later famous as the controversial Duchess of Argyll, who is second from the left in the very front row) make their grand entrance at the ball. 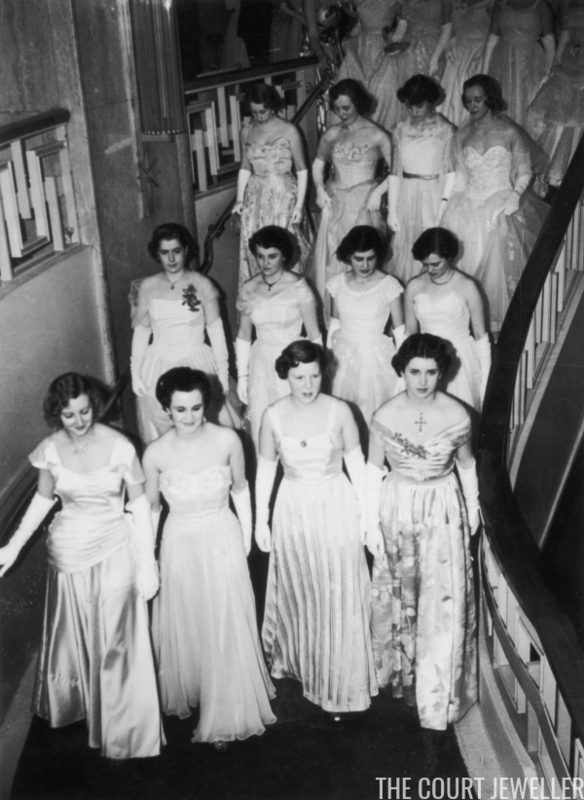 The presentation of debs at court ceased in 1958, but the ball has continued on in various forms. 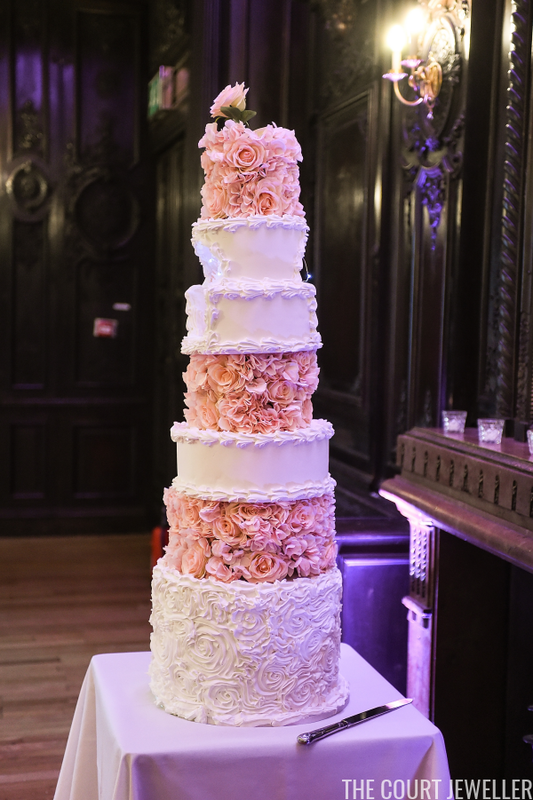 Rather than curtseying to a person, the debs at Queen Charlotte's Ball curtsey to a large cake. 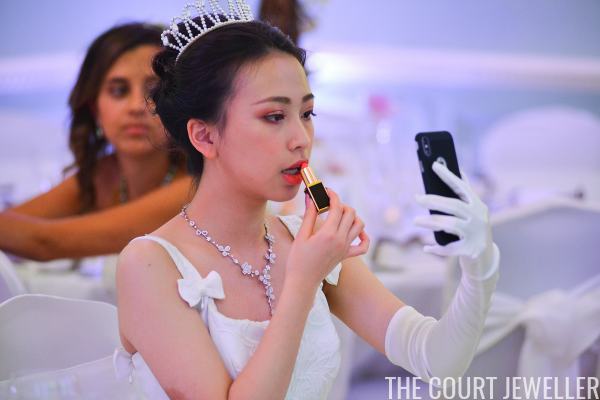 The debutantes at the present-day ball all wear gowns and jewels from the same designers. 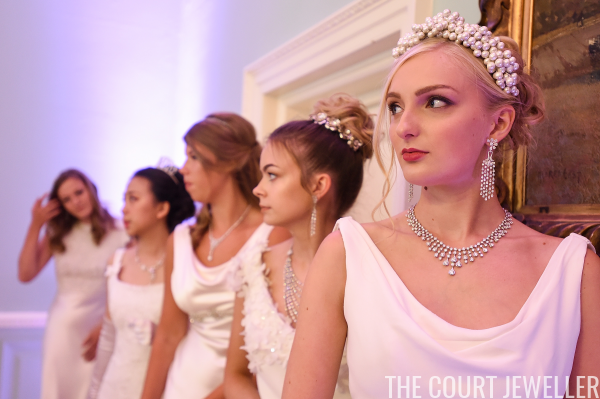 This year's gowns were made by British bridal gown designer Ritva Westenius, and the jewels were provided by David Morris, a London-based firm. 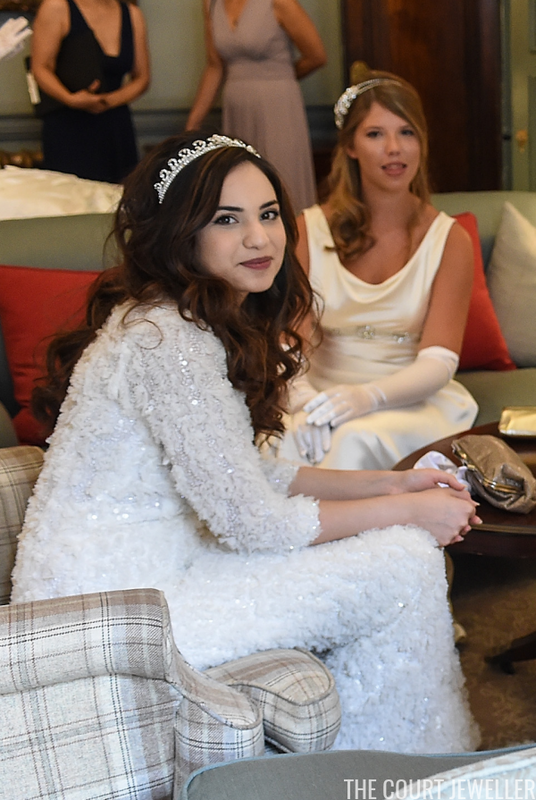 Here's a look at the young women who participated in this year's ball at Dartmouth House. 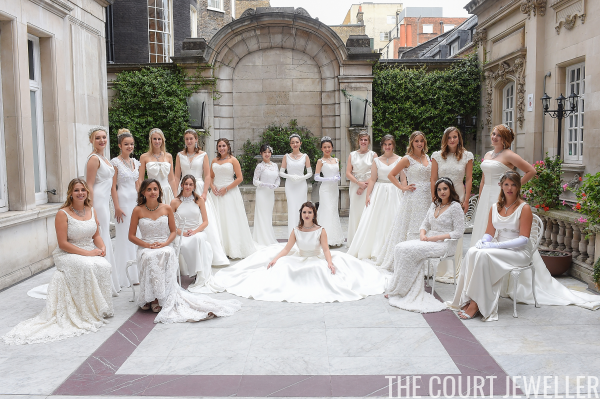 The press materials for the event explain that this "modern group of meticulously selected debutantes continue the tradition and celebrate their year of charity fund raising, etiquette classes and debut at The Queen Charlotte's Ball." 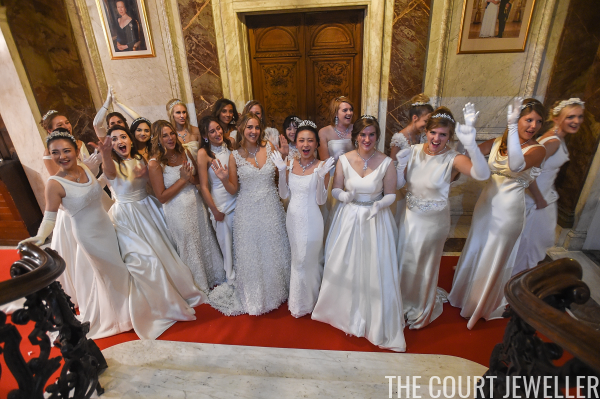 Photographers were allowed to capture some of the behind-the-scenes moments from the rehearsals and the ball, giving us a good look at some of the tiaras and jewels worn. Unlike some deb balls, the women who appear at Queen Charlotte's Ball do not wear identical gowns and jewels, so we get to see some interesting variations. 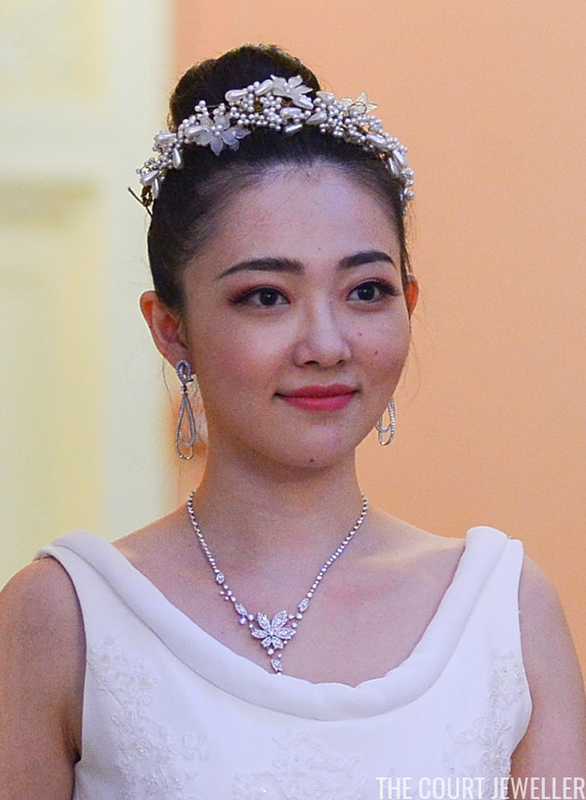 This pearly tiara is unique, if nothing else. This diadem features floral designs set in a bed of round and pear-shaped pearls. Here, a simple twist of pearls is used as a hair ornament. This tiara owes a great deal of inspiration to the Duchess of Cambridge's wedding tiara. 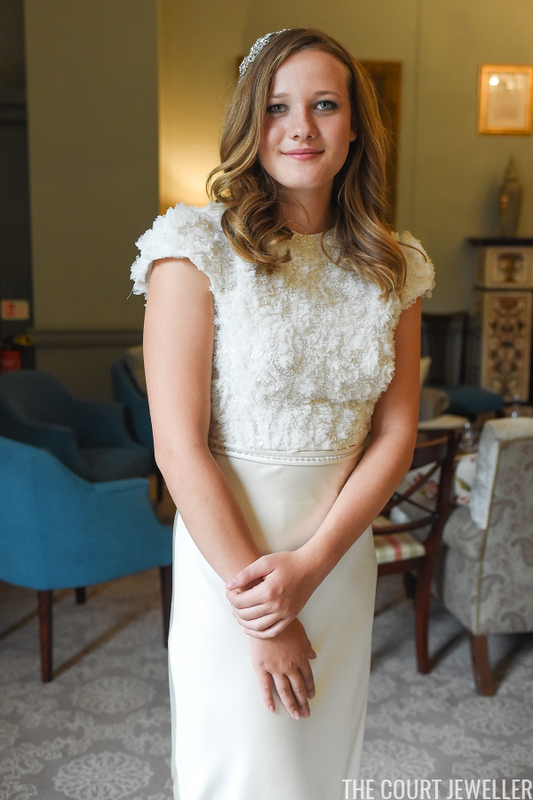 At least one of the debs, Phoebe Forbes, has a claim to fame: her mother is Darcey Bussell, the famous British ballet dancer. 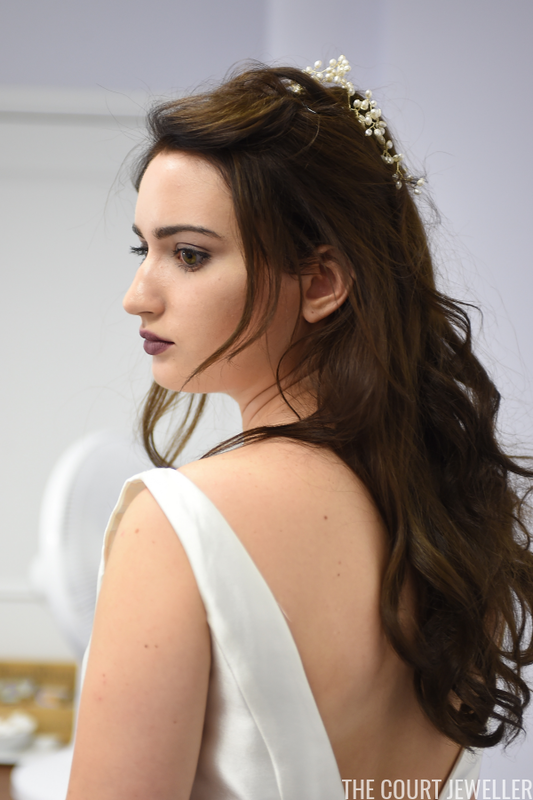 Phoebe chose to go with a hair ornament rather than a full tiara with her ensemble. What do you think of this year's debutante jewels?